Thanks to all the great young adults who have been part of the Archdiocese of Chicago Theology on Tap this summer! It’s always great to see familiar faces and lots of new ones, too! If you were one of the lucky ones at Belle Luna Cafe tonight – when I conveniently forgot my handouts! – this blog post is for you!! Here is a link to the original blog post, which was the inspiration for this year’s talk, “Happily Ever After Begins Now“. And here is the TOT 2017-Handout from tonight, which includes a much coveted reading list of books for Catholic singles. Enjoy the remaining few weeks of Theology on Tap. I’m speaking a few more times before the summer is through, so check out the schedule and join me! Becky Eldredge is the real deal! Her first book “Busy Lives & Restless Souls: How Prayer Can Help You Find the Missing Peace in Your Life” flows from the lived realities of a married lay woman, juggling all the responsibilities that come with caring for children and elders, being present to spouse and family, and committing herself to ministry and church community. Even before this book was published, I had tremendous admiration for Becky. For many years, Becky was one of those people whose name would surface during conversations with friends and Jesuit-affiliated colleagues. People were always surprised to learn that not only had Becky and I never worked together, but we had never even met! When we finally had an opportunity to collaborate, there was an immediate sense of connection, and it is a joy to count her as a colleague and friend! As I took my time reading this book, I felt like Becky was sitting in my living room sharing her life story with me – it is that authentic! “Busy Lives & Restless Souls” provides a beginners look at Ignatian Spirituality and its practices of prayer, with the timeless wisdom of an experienced spiritual director and retreat master. 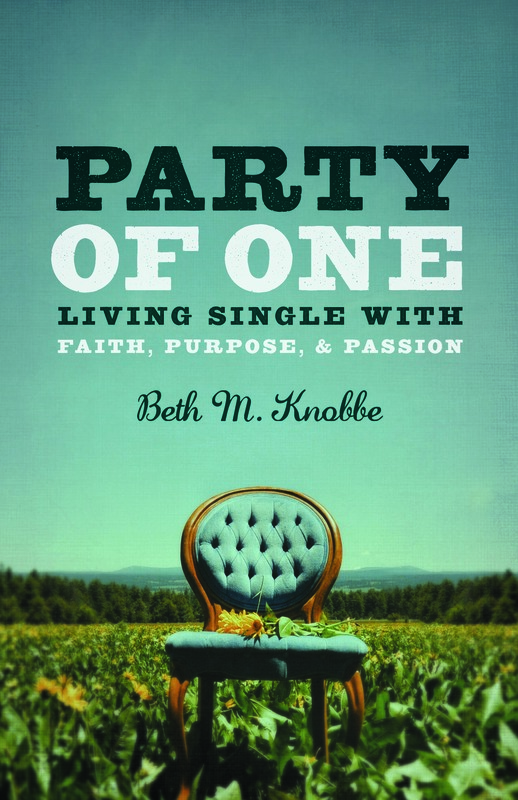 It is great for men and women of all ages who are re-discovering a place for God in their lives, and young adults (20s-30s) will especially appreciate her contemporary approach to the spiritual journey. Becky brings hard won wisdom, a depth of understanding about the movement of the Holy Spirit, and a life-long friendship with God. This is not pious pie-in-the-sky spirituality! Becky has searched for God in times of transition and change, and she has experienced God’s healing as she navigates the experience of being a new mom. She shows how God is present as a young couple negotiates the early years of marriage, geographical moves, and economic responsibilities. Becky offers advice that has been sought out, tested, applied, and proven to work! A regular practice of prayer is not always easy, but it is the one sure path to God’s abundant love and healing grace. Becky invites readers into real life examples of daily prayer, and she situates the scriptures in the context of a busy life filled with work, motherhood, and ministry. Becky brings a whole new meaning to “finding God in all things” and her writing has opened my eyes even wider to encountering God in everyday life. Be sure to check out her blog, featuring a series of posts about HOPE! And her latest offering – an Online Busy Person’s Retreat. And keep your ears open for more. I am certain that this is just the beginning of what we’ll hear from Becky Eldredge! I was invited to give a reflection at our evening prayer celebration on the Feast of Mary Magdalene at St. Benedict Parish in Chicago. Here are my reflections on this great witness to the Resurrection! Last Sunday at the 12 Noon mass, we celebrated a baptism – baby Raymond Edward! I was reminded as the priest placed a white garment over this child, and anointed him with oil – that each of us -ALL THE BAPTIZED- are initiated into the priestly, prophetic, and kingly mission of Christ. Priest, prophet, and king! This is our call as people of faith – to be priestly people of prayer and sacrament, to be prophets seeking justice and righteousness, and to be a king but one like Jesus, a humble servant, one who seeks peace, leading by example and laying down one’s life. It is good to be reminded of our baptism, especially on a night when we celebrate the feast of one of the great disciples, the Apostle to the Apostles, Mary Magdalene. Everyone was surely frightened, scared, uncertain. I imagine the disciples hovering in the upper room with the doors locked, fearful of who would be attacked next. We hear about two friends on the Road to Emmaus – running away. Have you not heard what happened in our city? And where were the women? We know that the women stayed. And I’m sure the women did what women do – someone made a casserole, and someone else baked bread, and one may have even offered to watch the children while the rest went to bring flowers to the tomb – along with spices to anoint the Body, as was their custom. It is there that Mary encounters Jesus as we heard in the Gospel tonight. Jesus recognizes her. He calls her by name – MARY. He knows her; and once again she is reminded that she is known by him and called by name to be his follower. It’s funny, isn’t it- how often historians have gotten this WRONG. There are at least three women in scripture who writers have misrepresented as Mary Magdalene. The repentant sinner who wiped Jesus’ feet with her tears was NOT Mary Magdalene. No where in scripture is Mary Magdalene named as a prostitute. And Mary of Bethany, sister of Martha and Lazarus, friends of Jesus – has also been confused or conflated over time with Mary Magdalene. There is one person, however, who had no doubt what so ever, about the identity of Mary Magdalene. And that was Mary Magdalene herself. What makes Mary Magdalene a disciple worthy of her own feast day is this sense of identity. She knew who she was as a disciple of Jesus! There are 3 things that we hear in tonight’s gospel that bear reflection and draw us deeper into our own sense of discipleship with Mary Magdalene as our role model – her encounter with Jesus, her courage to stay with him at the cross, and her witness to the resurrection. Mary Magdalene had a personal encounter. What we hear tonight is Jesus calling her by name, “Mary!” Surely this is not the first time she hear her name spoken aloud. Luke’s gospel tells us that Mary’s other experience with Jesus was when 7 demons were expelled from her. Jesus heals her – he touches her in that very place where she is most weak, vulnerable, uncertain, the places that have caused her to sin. He knows her, intimately, and she has allowed him into the dark spaces – and he has drawn her into the light. This happened to Mary, and it happens in our lives, too. An encounter with Jesus, especially one that brings healing, also leads to courage. The courage to face trials, to speak out on behalf of the poor, to seek God and praise God without ceasing in all that we do. Identity is essential to being a disciple! We have to know WHO we are, and we need to constantly be reminded of WHOSE we are. We belong to God, hidden with Christ, empowered by the Holy Spirit. All four gospel writers place Mary Magdalene at the foot of the cross when Jesus was crucified. And all four gospels, although differing in detail, place Mary at the tomb – as the first witness to the Risen Jesus. The first thing Jesus says to Mary, when he appears to her in the gospel, is “Why are you weeping?” While I suspect the Risen One intended this to bring comfort, any one of us who has mourned a loved one would know that comfort does not come quickly. Each person’s path of discipleship is different, but I can guarantee you one thing – two things, really. I promise you that God is always faithful! But I can also guarantee that as a disciple there will be struggle, suffering, and opposition – almost always. Our lives are fashioned to model Jesus’ life, death, resurrection – the Pascal Mystery. We are never far from the cross. This too is a necessary, but difficult, hallmark of life as a disciple of Jesus. And we know that Mary stood with Jesus, and watched him suffer and die a humiliating death. If we take one thing from Mary Magdalene, it is her courage to stay with Jesus. We are never far from the cross. And we have to ask ourselves, do I dare to stand there? What would it mean to stand at the foot of the cross with our African American neighbors, friends, and colleagues – as we face an ever widening gap in the racial divide in our country? Can I listen and accept the truth of their experience? Am I willing to speak up when I hear racist rhetoric that permeates our public discourse? How close are we willing to get to the foot of the cross to meet our Gay, Lesbian, Bisexual, Transgender, Queer, and Questioning community members? Including and ESPECIALLY those in our community at St. Ben’s? Do I accept them with respect, compassion, and sensitive? Do we truly know and understand the cross that is carried over thousands of miles by Refugees who are fleeing places like Syria, Iraq – seeking safety for themselves and their children? What would it take to learn about the cross they carry? How can I alleviate their burden? There is a cross that hangs tonight over Baton Rouge, and Dallas, and Minneapolis, and Nice, and Istanbul. There are 49 crosses in Orlando, 9 more in Charleston SC, 26 in Newtown CT. Across the city of Chicago, there are 362 men, women, and children who have lost their lives to gun violence – this year ALONE. These individuals did not choose their crosses, but we can choose to stand with them. Mary Magdalene could have easily said “He’s not MY son.” She could have turned to Mary, Jesus’ mother, and offered a sympathetic look, then ran away with all the rest. There are no easy answers to the crosses of our world, except to love. Mary Magdalene stayed. To be a disciple of Jesus, with is to stay at the foot of the cross. And to trust that the poor and suffering will show us the way forward. The most compelling line in this Resurrection narrative is when Mary Magdalene runs back to the disciples and shouts, “I have seen the Lord!” It is a line that any disciple must worthily shout and recognize! Indeed, I have seen the Lord! I am humbled each year to celebrate an interfaith Iftar, a breaking of the fast, during the Islamic holy month of Ramandaan. I attend at the invitation of one of my former work colleagues, and she always retells the story of what happened at our office on September 11, 2001. She recalls the countless number of colleagues who called, emailed, or stopped by to ensure that she would get home safe that day – and in the days to follow. I am encouraged in my own journey of faith because of our friendship and the witness of her fidelity to prayer and fasting as a Muslim woman. My colleague Emily, serves in a countries throughout Africa and the Middle East, coordinating peace-building efforts in countries experiencing civil war. We asked her recently, “What gives you hope?” Especially in the face of such violence and destruction. She told us stories of individuals finding healing, families seeking restoration, and enemies reconciling. She said that for any goodness to be found in the face of injustice, that has to be GOD. There is no other explanation, except that the Holy Spirit must be involved, and this is what gives her hope. A few months ago, a group of us from St. Ben’s, attended an art show at the Precious Blood Ministry of Reconciliation. Located in the Back of the Yards neighborhood, Precious Blood serves predominantly young, black men recently released from jail. They offer a positive alternative for kids in the neighborhood. They offer job training, community gardens, the arts program, peace circles, places of dialogue and reconciliation, and they are strong advocates for criminal justice reform especially for children who were convicted of crimes and then tried as adults. Life is not easy, and the situation is complicated. There are no easy answers. But it begins by sharing stories and offering mutual respect. As I’ve gotten to know the staff and kids there, they all use the same word to describe the Precious Blood Center –this is a place of HOPE! We celebrate Mary Magdalene for her faithfulness, her strong sense of identity and friendship with Jesus. We remember her courage in staying with Jesus at the foot of the cross. And we celebrate her as the first eye witness to the Resurrection. Knowing that we are called and sent to do the same! We had such a great response to the post For I Was Naked and You Clothed Me from a few weeks ago. It raised some important questions, so we decided to continue with a second reflection this week. Thanks as always to my dear friend Becky Eldredge for sharing space on her blog! Welcomed or unexpected, mercy invites us into relationship with one another. Even the best of relationships are complex, filled with ups and downs, and take a lot of effort. When we enter into relationship with those in need of mercy, we can almost guarantee that it will be difficult before it ever reaches the point of being sacred or profound. A few weeks ago, I wrote about clothing the naked, and it raised all sorts of questions! When we encounter someone who is hungry, thirsty, or homeless, there is a temptation to react impulsively. We feel compelled to do something! But if mercy is about being drawn into relationship, is it enough for me to anonymously donate my used stuff to a shelter or second-hand store? Who am I helping, and does my assistance lead to a sustainable solution? Around the same time as that blog post, a friend forwarded an article about the unforeseen consequences of people’s generosity that takes place in the wake a national tragedy. The town of Newtown, CT (population 27,000) received over 65,000 teddy bears following the mass shooting at Sandy Hook elementary school – do the math, that’s three stuffed animals for each resident. It then became someone’s full time job to sort, distribute, and decide what to do with all of the donations. How much thought do we put into the items we donate to charity? Am I considering the best interests of the receiver? How would a church or a lay person know what a person or organization actually needs? Is my desire to be generous inadvertently creating an additional burden? I was sufficiently traumatized by two separate trips to the emergency room as a child. The thought of sitting in a waiting room is enough to make me queasy! It’s no surprise that I rejected the idea of hospital chaplaincy during Divinity school. Looking back, I’m envious of my classmates who recall their chaplaincy experiences as challenging and rewarding experiences, filled with profound reflections on life, death, suffering, and resilience. If you’re anything like me, I wonder how to best practice this important work of mercy, knowing that I don’t have a genuine call to minister to the sick. Healing comes in many forms – through our presence, prayers, simple gifts, a home-cooked meal, or an encouraging word. Often, what the ill need most is to be seen and to know they are not forgotten. Continue reading the full post on Becky Eldredge’s blog…. This post appears on Becky Eldredge’s website as part of her ongoing series during the Year of Mercy. I am grateful as always to offer my thoughts, and was particularly challenged by this piece on clothing the naked! When I agreed to write this reflection, I expected to remind readers about the importance of spring cleaning and dutifully taking our gently used items to the local second-hand store. I did not anticipate that I would unearth questions of vulnerability, the dignity of the human body, and the (perceived) value we place on material goods. When we are called to clothe the naked, we are bidden to watch over those who are unduly exposed to the physical elements, those who are subject to unjust working conditions, and the personal choices we make in regards to our own physical comfort. Clothing the naked invites us to consider those who are without appropriate outerwear, but the heart of this work of mercy – nakedness – is tied to vulnerability. Above all else, we are called to clothe the poor with dignity.